vangi bhaji recipe - lightly spiced, sweet and tangy dry curry made with eggplants, spices and ground peanuts. vangi bhaji or vangyachi bhaji recipe – a simple and easy dry curry from maharashtra made with eggplants, spices and ground peanuts. eggplant or brinjals are called as vangi or vangya in marathi and baingan in hindi. 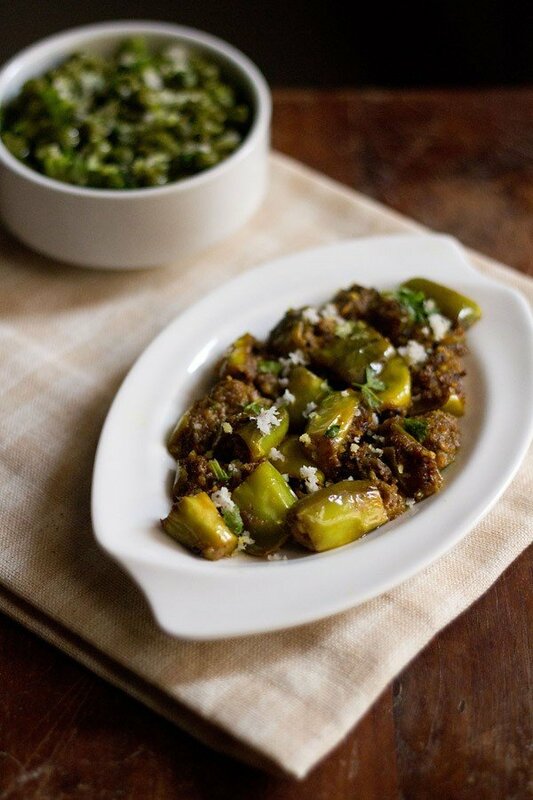 this baingan ki sabzi is slightly sweet and tangy due to the addition of a bit of jaggery and tamarind. 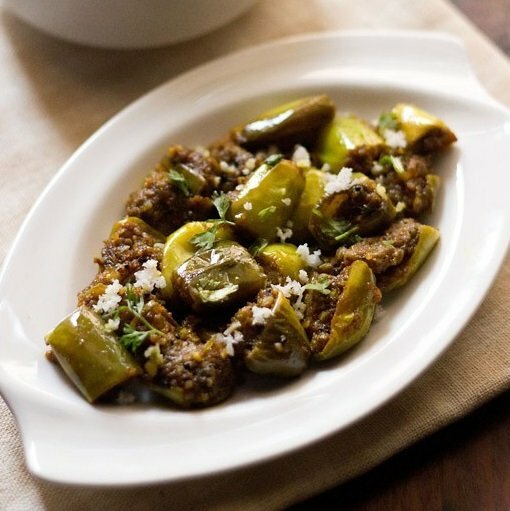 the soft succulent cooked aubergines coated with peanut powder and the spices makes for an excellent side dish. the recipe is also a no onion no garlic recipe. goda masala is used in the recipe and i do recommend adding it instead of garam masala, to get that authentic maharashtrian taste and flavor. the vangi bhaji recipe has been adapted from the book “ruchira selected maharashtrian vegetarian recipes” by kamalabai ogale. 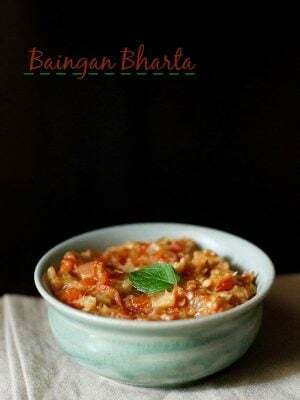 this book is a classic book on selected maharashtrian vegetarian recipes. the english version is a thin book and not in many recipes there, but most of the everyday homely marathi recipes are covered. the book has certain flaws as compared to the marathi version. the measurements are also vati (bowl) measurements and not cup measurements. however, an experienced home chef can easily correct these and adapt the recipes easily. if you are fond of maharashtrian food that is comforting and easy to prepare, than this book will be helpful. yet another maharashtrian cookbook which i recommend is the “essential marathi cookbook” by kaumudi marathe which has good number of maharashtrian recipes both vegetarian as well as non vegetarian. there is also annapurna which has other regional indian cuisines along with maharashtrian cuisine. 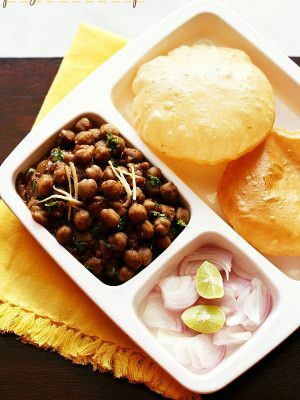 the vangi bhaji goes extremely well as a side dish with chapatis or jowar bhakris (sorghum flour flat breads). you can also serve the bhaji as a side dish with dal-rice combo. 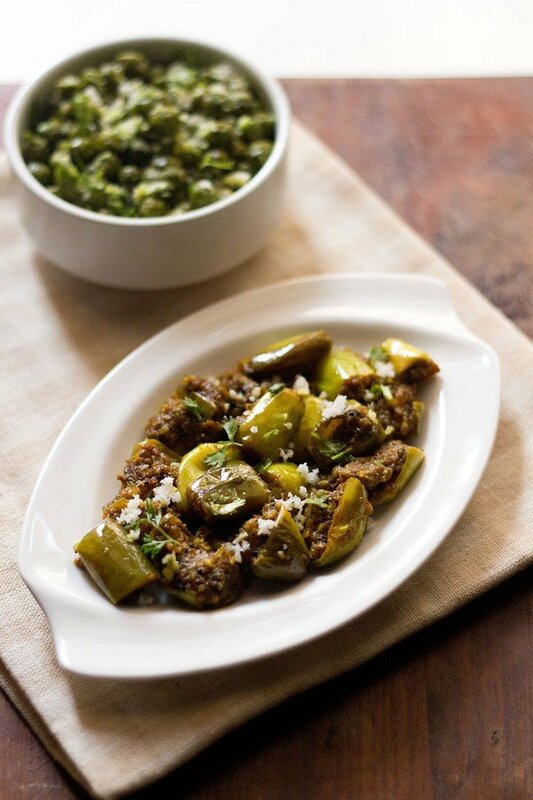 rinse and then quarter the vangi (baingan or eggplants) if they are small or else chop them into medium sized pieces. place them in salted water for 15-20 minutes. warm 2 tbsp water and add 1 tsp tamarind in it. soak the tamarind in the water for 20-25 minutes. squeeze the tamarind pulp from the soaked tamarind and keep aside. roast the peanuts on a pan till they become crisp and have a few black spots on them. once they cool down, grind the peanuts to a powder in a coffee grinder or in a mortar-pestle and keep aside. heat oil in a pan. crackle the mustard seeds first. add the asafoetida and turmeric powder. stir and add the drained vangi (aubergines) and tamarind pulp. stir and then cover the pan. simmer on a low flame for 4-5 minutes. do check in between and stir. remove the lid and add red chili powder, goda masala/black masala, jaggery and salt. stir and then cover the pan and let the brinjals cook till soft. do check in between and give a stir. if the mixture looks dry, then sprinkle some water if required. 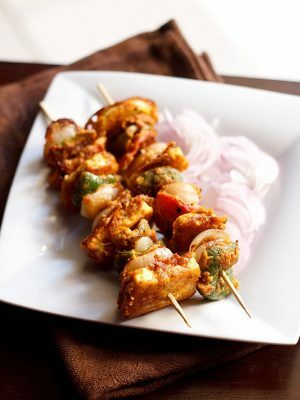 once the brinjals are cooked, add the peanut powder and saute for 1-2 minute. lastly add grated coconut and coriander leaves. give a final stir. 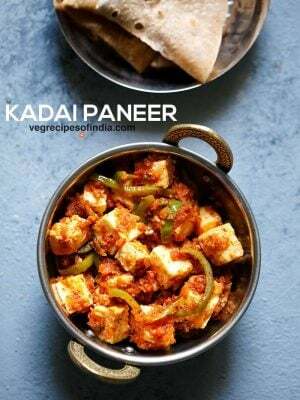 Sounds delicious but what if you cannot get all the ingredients for goda masala? thanks farz. i have already mentioned what ingredients you can skip. 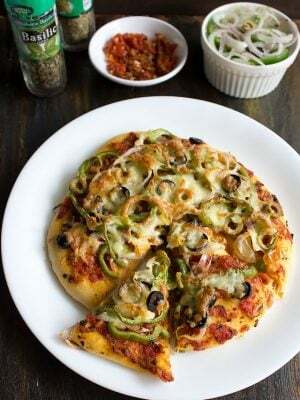 except optional ingredients rest all are needed. thank you Dassana so much for this blog. i have recently been getting better from depression and cooking many of your recipes has brought me happiness and health. i have always found recipes very difficult to follow in the past but your friendly way of writing, many pictures, and summary at the end makes difficult dishes seem easy. if you ever publish a book it will never leave my kitchen. welcome liz. your comment is very sweet and touching. at times we all go through depression. but one needs to channelize the energy in positive direction. cooking, baking, gardening, handicrafts are excellent creative activities for women. in my case, whenever i feel low, i read a spiritual book or cook a new recipe or try my hand in baking. thanks hema for the positive feedback. 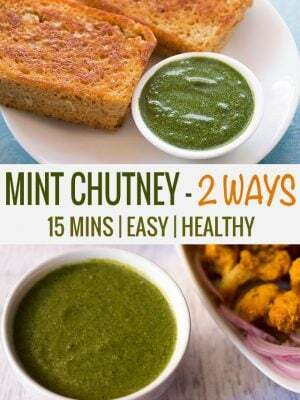 here’s a recipe which will give a very small quantity. 1. first dry roast all the spices except sesame seeds and desiccated coconut in a pan till they become aromatic. 2. push them towards the sides of the pan. then add the sesame seeds and coconut. mix everything together and roast till the coconut becomes golden. let this mixture cool and then grind everything in a dry grinder or coffee grinder to a fine powder. 3. store in a small jar and keep in the refrigerator.